Monthly art celebration featuring the work of more than 100 artists, including painting, ceramics, mixed media, photography, jewelry, textile arts and sculpture. Located in the downtown Las Vegas Arts District and surrounding neighborhood, more than 80 indoor arts, food, drink and shop venues open their doors and 50 outdoor artists, artisans and entertainers provide outside fun each month. 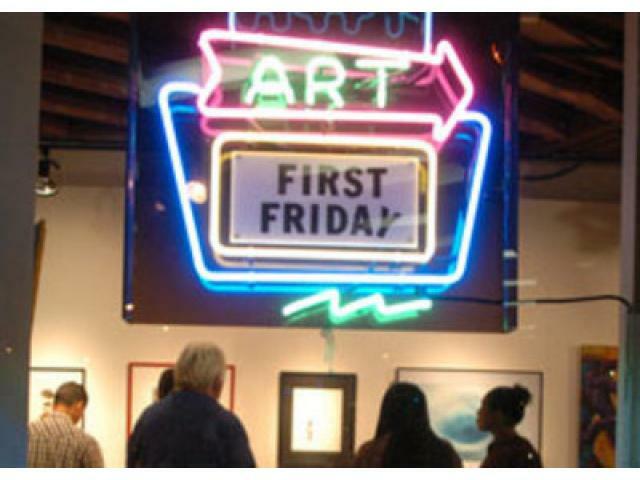 First Friday Las Vegas is a community gathering where all are welcomed and encouraged to appreciate the arts in Las Vegas. You’ll find a plethora of visual and performing arts, live music, food, and people. Many Las Vegas artists got their start at First Friday and many local businesses depend on this day every month. There is no better example of culture and community in Las Vegas than First Friday. This single event has united a community while exposing hundreds of thousands of people to the treasures of Downtown Las Vegas, attracting much needed attention and resources. This month, we proudly present the following Artists and Vendors for your enjoyment.